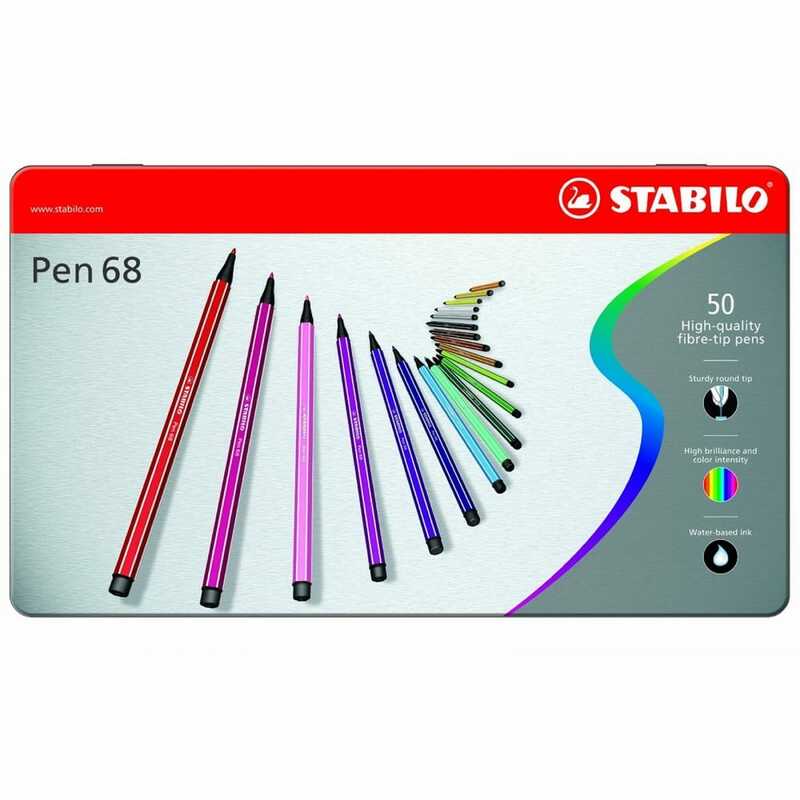 The tin of 50 Stabilo Pen 68 is a premium fibre-tip pen which are ideal for school children, students and amateur artists. The odourless water based ink makes them ideal for drawing, colouring and painting with their robust M-tip (1mm) makes it perfect for strong lines as well as large areas. The Pen 68 is ideal for colouring in art therapy templates, patterns and Mandala's and for creating your own works of art with their high brilliance and luminosity.